First off, let me say that it’s great to be back among the movie news world & I hope that you are ready to taste some Borat. You know I have a soft spot for Borat, so this week is going to get an A+ even if Kettle of Fish is trying to bring it down to a B-. 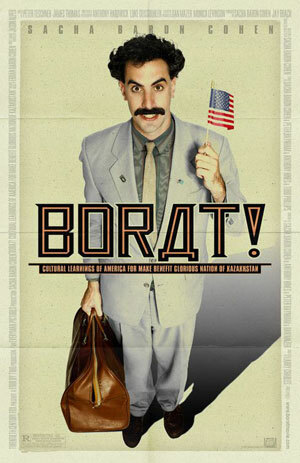 With Borat’s new film being set loose on the world at large, who knows what else will follow this mayhem. The romantic comedy/mockumentary Confetti is being released on DVD today, making Jimmy Carr fans worldwide ecstatic, while South Korea’s Woman Is the Future of Man, despite a high rating from Rotten Tomatoes, doesn’t really have folks lining up at the movie store. All in all, this week in DVD releases was worth is just to see charismatic Borat hit the boring shelves. Who’s with me?